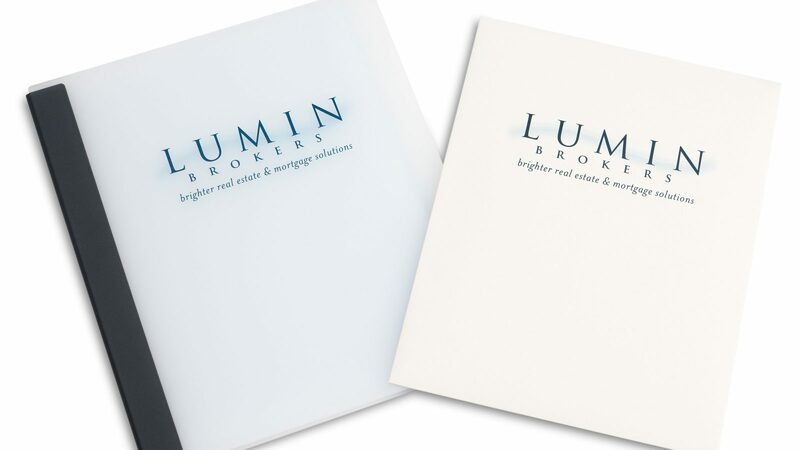 Kirkland, WA-based Lumin Brokers needed a simple and effective way to present financial documents to various stakeholders. The solution we proposed was a set of books from our Lumen Screwpost Binder line (naming similarity coincidental!) and some of our Folders. Both were printed with Lumin's branding to complete the look.